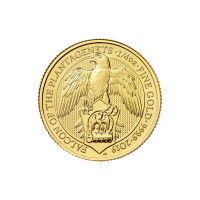 2 oz 2014 Nieuwjaar Zilveren Proof-like Plak When you buy your 1 oz 2018 Call of the Wild series Golden Eagle gold coin from our store, you’ll enjoy the lowest price online. 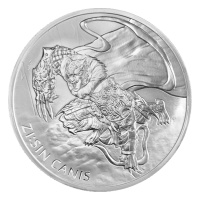 This beauty is the fifth edition in the Royal Canadian Mint’s remarkable Call of the Wild series. 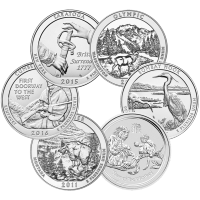 The coin reverse features another one of Canada’s beloved indigenous wildlife species and their largest bird of prey, the golden eagle. 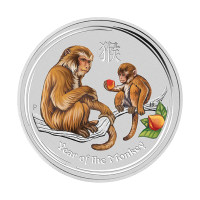 Joining this meticulously engraved portrait, which is visible on a field of curved, textured stripes, is the Canadian legend, as well as the coin’s weight and purity. 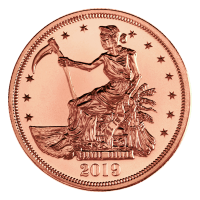 The obverse feature is a skilfully rendered likeness of Elizabeth II, every aspect delivered in detail, down to the very strands of hair on her head. 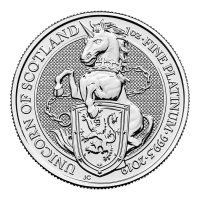 The portrait is joined by the coin’s year of issue, Elizabeth II’s title and the coins unique denominational value. 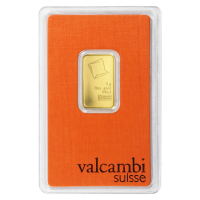 The high face value of this coin, as well as its crisp and meticulous design and 99999 purity, make it a wise choice for both investment and collection purposes. 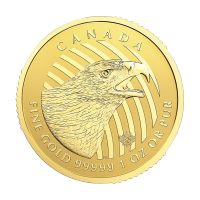 Celebrate the creatures and beauty of Canada while enhancing your portfolio by purchasing a 1 oz 2018 Call of the Wild series Golden Eagle gold coin today.